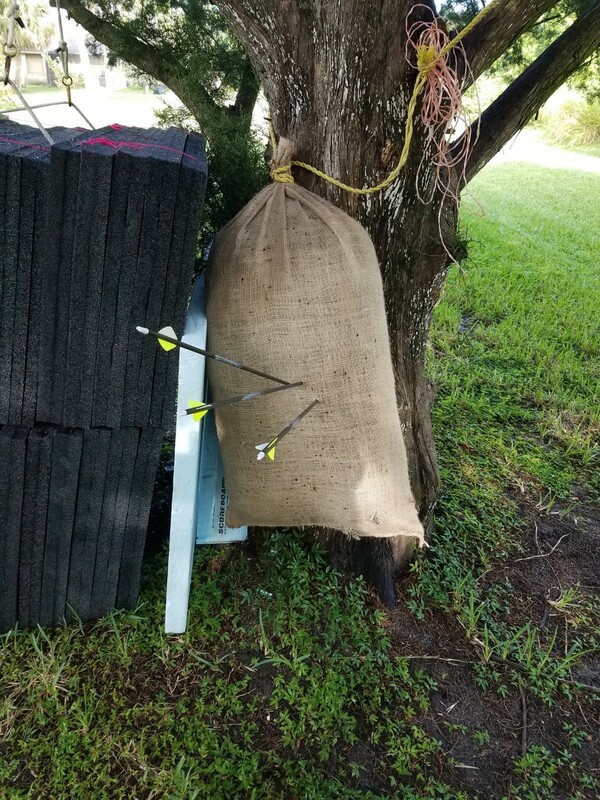 24" x 40" burlap sacks are our strongest and most durable burlap bag, with 9 oz natural fibers and 50 pounds weight capacity. The tight weave of the high-quality burlap used to make these sacks makes them strong and lightweight. These bags are great for sack racing at field day events, storing potatoes and walnuts, and more. Sack racing is a fun, competitive game great for kids and adults alike, whether as a weekend activity or at parties. It will definitely bring out the spirit of competition in everyone! Sandbaggy potato burlap sacks are designed perfectly for sack racing. Our potato sack bags are reinforced on one side for extra durability. These potato sack race bags are adult size and for kids over 4 feet tall. These rugged burlap sacks are made with a thick weave for heavy-duty applications. 24" x 40" burlap sandbags are tough enough to be used for flood control, as shown in this video by the California Department of Forestry and Fire Protection. The burlap bags are made with a proprietary sewing technique, which reduces the chance of bag rupture. From sack racing to storing materials, these large Sandbaggy burlap sacks will do the job. Made with 9 oz of natural fibers, these 24" x 40" large burlap sacks are more durable and stronger than our 22" x 36" burlap sacks. Grown from jute plants, burlap potato sacks are 100% biodegradable, meaning that they decompose on their own. This reduces waste in our landfills and provides an environmentally friendly solution for preventing floods and erosion. What is a burlap sack used for? Burlap sacks are used for sack racing (can accommodate both adults and children), and storing potatoes, metal parts, hardware, and other materials. Along with potatoes, burlap sacks can be used to store coffee for shipping. Burlap sacks are sewn with a proprietary sewing technique, making them extra durable and suited towards even the fastest, most ambitious sack racers. Can you wash a burlap sack? Be sure to wash the burlap sack without any other laundry. Otherwise, your other clothes will have small burlap fibers. What is a potato sack / burlap bag / burlap sack? A burlap sack is bag made from the woven fabric burlap, which comes from jute plants. Burlap's plant-based origin makes it 100% biodegradable and natural, great for the environment. The terms potato sack, burlap bag, burlap sack, and gunny sack all refer to the same product. One 24-inch x 40-inch burlap bag costs $6, with unit discounts the more you buy. If you want to purchase burlap by the roll so you have more flexibility in how you choose to use the burlap, that costs $1.34/yard. The minimum purchase is 1 roll, which is 100 yards. Great quality and speedy delivery! Will buy again! Speedy delivery and great quality of burlap sacks!!! Will definitely be coming here to purchase my burlap sacks. We are using these for our walnut harvest and they arrived quickly and are exactly what we needed and looked for!